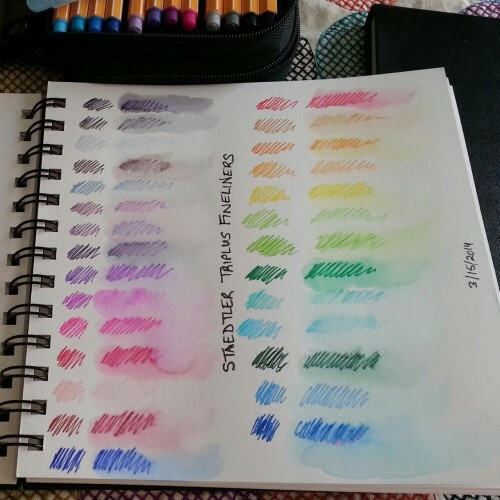 Closeups of the Color Charts created in my last post. 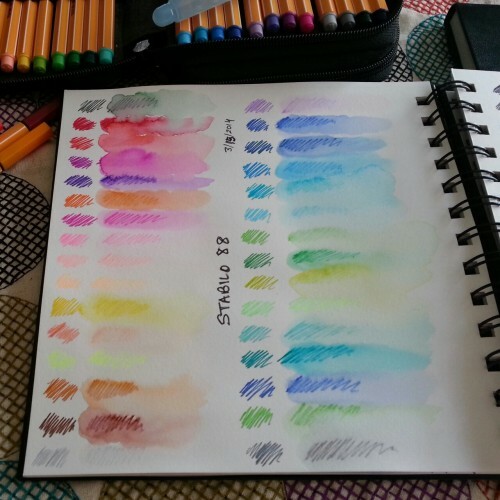 In the last pic, I also used the waterbrush over the fineliners in my old Moleskine Sketchbook – where the paper practically disintegrated. 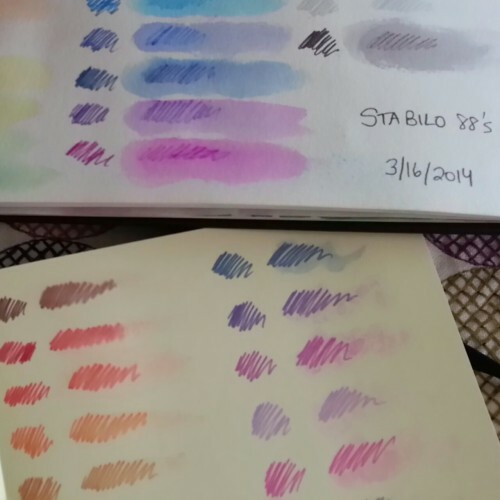 ← Staedtler vs Stabilo and the Waterbrush! Holy Cannoli!